Richard Peters is a Director of the Auckland South office of Seagars. He has been a Registered Valuer since 1987, having completed a Bachelor of Business Studies (Valuation and Property Management) from Massey University and subsequently a Diploma in Communication Management. He is an Associate Member of the NZ Institute of Valuers and a Senior Member of the NZ Property Institute. Richard’s professional experience started in Wellington in 1984 at Gordon & Kirkcaldy then Housing Corporation of New Zealand. He worked in Palmerston North at J P Morgan & Associates before moving to Guy Stevenson & Petherbridge Limited at Manukau City. He became a Director of that firm in 1996 before joining Seagars as a Director in March 2007. Richard lives in the northern Waikato district of Pukekawa and services the North Waikato/Southern Auckland centres for commercial, industrial and block land assessment. 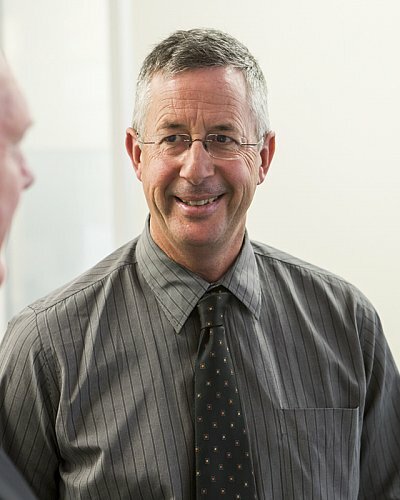 His areas of speciality include church properties, compensation assessment for compulsory acquisition, motel rentals and valuations however his core work involves industrial and commercial valuations throughout southern Auckland, particularly in the East Tamaki, Airport, Manukau, Takanini and Pukekohe areas. Richard maintains an immediate awareness of residential and rural residential markets through subdivisional block work and personal interest, but also through mentoring staff through their registration periods. Richard is a founding and current committee member of the South Auckland Valuer’s Interest Group.